Well what a start to the year, so many moments of sadness in such a short space of time, as we hear the passing of the icon that is David Bowie, who recently lost his private battle with cancer, and yet left us with his last album, a poignant and movingly real masterpiece BLACKSTAR. Naturally a few tracks were played and though were shared during the show. We had more new music this week, from Martyn Bailey, and some new to the show artists….. Jed is Dead, Calico Club and Gray Pop. 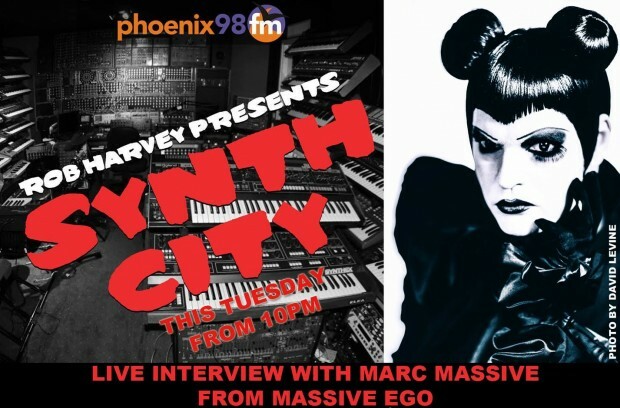 I was joined this week with my 1st guest of 2016, Marc Massive the lead singer and driving force behind Massive Ego. Who have been round since 1996 and celebrate their 20th year and seem set for a new chapter. We spoke about this and the Bowie effect, plus we were traded to track the band aim to donate to a complication album that raises money for Cancer research – Electronic Saviours.